So, you’re an old insurance agent who needs a new website, or you’re a new insurance agent who needs a new website—it doesn’t really matter. You’re looking to build a brand online and you need a great website to do that, a vehicle to get your message across to existing and potential clients that looks professional and polished. If you’ve spent any time at all checking out insurance website providers in your hometown or online, you know that there are multiple options and if you’re concerned about costs, you’ve undoubtedly found an insurance website builder that offers to allow you to use a great-looking website template to help you promote your insurance agency at just a fraction of the cost of many custom design services out there. In fact, insurance agency website design templates can sound like a really great option. Templates are tempting for a number of reasons—they can help keep your costs as an insurance agent in need of a website low, and they give you an appealing look right from the beginning. The better ones step you through your own website design setup, and even the worst ones will probably look better once finished than anything you as an insurance agent (and not a professional website designer) could come up with on your own. They look cool, and they sound easy. As someone who’s built dozens of custom sites and used just as many web design templates in my career, let me beg you… Please don’t use a template. Please, please, please. 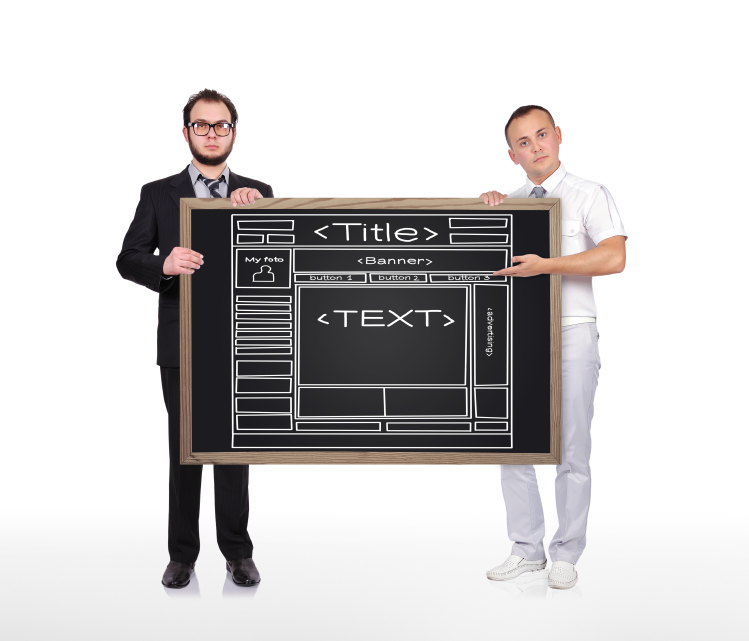 For the sake of your business, for the sake of you insurance agency, don’t use an insurance website template. It’s a mistake. Why, you ask – Why is it a mistake to save money and buy something that looks so darn good? Well, there are several reasons. Here are the most important ones. You lose the expert touch. When you use a website template, you are often at a disadvantage because while you’re uploading textual content and images as the template directs, you aren’t really optimizing those pieces of the website puzzle. (Optimizing means that you’re making sure that search engines like Google and Bing can “read” your website and “see” the images on it so that they can share it in search results when folks type something into a browser bar that should lead them to your insurance agency’s website. It also means that your website is built to rank higher than competing insurance agencies’ websites in search engine results–and that all of the content on your site reads well to human beings, too.) While you could learn how to make all of this happen, it’s much easier to hire someone who knows specifically how to word your web content and how to handle your images so that they show up during searches and surpass those of your competition. Without some expert help, it will likely take days to learn how to get your website to the front page of Google and even if you get your site to rank well, you’ll need to stay in the loop to know how to keep it at the top of those search engine results. Let someone who knows how to do it help you while you focus on running a stellar insurance agency. I promise, there will be fewer headaches when you do. Besides, a professional website designer can offer up a list of best practices for your website and help you maintain it properly. Believe me when I tell you that things go wrong even after a great website is up and running and it is a very good thing to have someone in the know to call when you have big issues. You lose the pull of exclusivity. Templates are just that—templates. While there are some great looking insurance agency web design templates on the market, buying one puts your company at risk of NOT STANDING OUT FROM THE CROWD. It’s not an advantage to have a beautiful website if that beautiful website looks just like another—or five others, or a hundred and three others, that computers’—and your potential clients– users can find around the web. Choose a designer with a good feel for your brand and have him or her build an insurance agency website to suit your needs and keep you at the forefront of the insurance industry. You know why your business is better. Share that difference with a truly cool custom site and know that you’ll look better than the other guy. Customizing your site is not an option without additional costs for expert designers or software. When you use an insurance web design template, making changes in your site can be difficult. Want to move a column on your home page from the right side to the left side? Want to add a photo gallery? Need a form that clients can fill out to give you information about an accident or incident? It may require the purchase of additional software, which can cost hundreds and even thousands of dollars, or you may have to rely on a paid expert to make anything more than fundamental changes to your insurance agency’s website at all. You can actually incur higher costs than you might have if you’d hired out for a custom website design from the get-go when you’re changing someone else’s template design, and that’s just no fun at all. All templates are not created equal. Template designers have preferences and build their templates to suit different browsers. A template designed for Google Chrome may not look nearly as sharp on Firefox or Internet Explorer. Web designs that have been out for more than a few months may not work well with browser updates. You may even be required to buy updated versions of the insurance web design template you choose to make sure that your website remains viable. Rely on a website service that works with you to create a custom, dynamic website that grows with your business, and alleviate the potential for problems in the future. There you have it. It’s about your business being a bright and shining star in a sea of sparkle, about giving your audience the best possible customer experience even before they walk through your front door, and about being your own person. Custom design doesn’t have to break the bank, and your insurance agency stands a much better chance at getting noticed if you incorporate a unique web design, with along with solid website optimization that is provided by a trusted website designer. 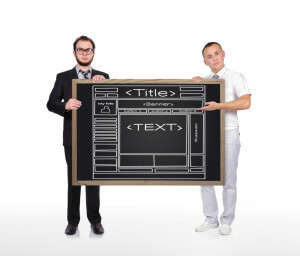 You can also rest assured that when you hire an experienced designer for your insurance agency’s website, he or she will handle coding with great care to make sure that no matter which browser your potential or current client is using to reference your site, it will appear as it was meant to appear on the computer screen. Choose wisely. Leave the templates to your competition. You’ll be glad you invested a little extra time and money into a great website for your insurance agency and you’ll reap all the rewards those with templated insurance agency websites won’t.